Singapore offers a vibrant entertainment and culture scene with plenty of exciting things to do. Read on for ideas on what to add to your itineraries, from a unique sunset sail on a 'pirate ship', a cool dining experience in a tipi tent to hidden bars worth exploring during an outing. Royal Albatross against the backdrop of the setting sun. 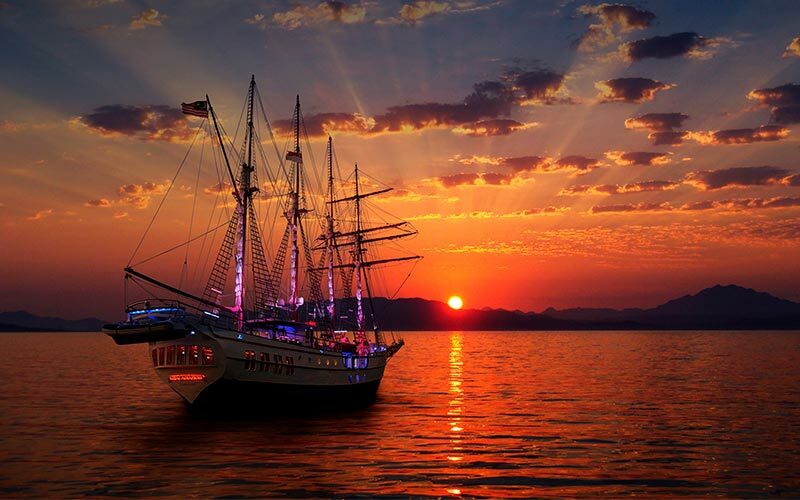 Surprise delegates with a relaxing sunset sail along Singapore's beautiful coastline on board a luxury tall ship. With four masts and 22 sails, the Royal Albatross impresses from the get-go with its distinct pirate ship-like appearance, allowing for photo opportunities at every turn. In fact, this very ship was featured (as Batman Bruce Wayne's) in the 2008 Batman movie, The Dark Knight! Onboard, guests are ensured a good time with the ship's two fully stocked bars and a restaurant-grade galley that can prepare a fine selection of fresh food and refreshments. For corporate functions, presentations can be held in the air-conditioned Grand Salon, which comes with configurable lighting and sound system, as well as plush sofa seats. The ship is docked at the promenade adjacent to Adventure Cove Waterpark at Resorts World Sentosa™ Singapore. Contact: Email info@tallship.com.sg or call +65 6863 9585. An exclusive dining experience in the Private Dining Room at Shisen Hanten by Chen Kantaro. A trip to one of the world's top culinary capitals wouldn't be complete without dining at some of the city's newly crowned Michelin-starred establishments. Thankfully, numerous options are conveniently available at Orchard Road. You can't go wrong with the two-starred Les Amis, a household name that is well-loved for its consistent delivery of fine, seasonal French food. For an exquisite Japanese omakase in a regal and sophisticated setting, Shinji by Kanesaka scores top marks. Alternatively, consider the exquisite Sichuan restaurant Shisen Hanten by Chen Kentaro, which serves unique dishes like Foie Gras Chawanmushi (steamed egg). 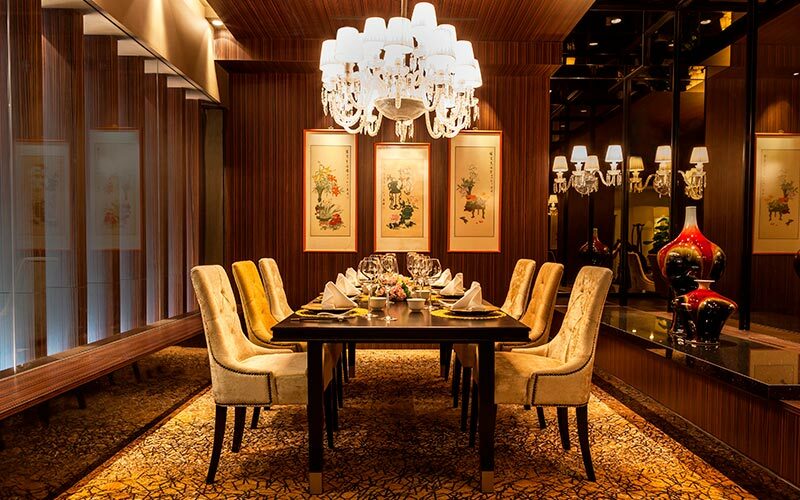 The restaurant also has four elegant VIP rooms that can seat up to 24 people. A night to remember at Night Safari's 'Evening in the Wild' Tipi Tent. Delegates may already be familiar with Night Safari, the world's first nocturnal wildlife park, but with Evening in the Wild, they can experience it in a whole new way. A three-hour group programme for 25-40 seated guests, the experience begins with a cool cocktail session at Ankole Terrace, which also offers sightings of the majestic Ankole cattle. Later, a caravan whisks the guests through the rainforest, bringing them to a fairy lights-lit pathway at a secret campsite where guests will get to interact with friendly ambassadors of the Night Safari. 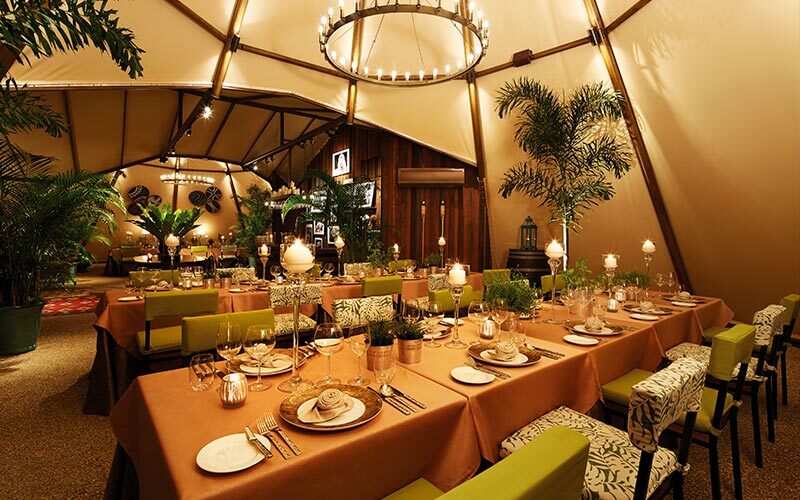 The highlight of the evening happens in a tipi tent - Singapore's first - where a tantalising three-course gourmet meal awaits. Finally, the programme concludes with reserved seats at the Creatures of the Night Show. Contact: Email sales.enq@wrs.com.sg or call +65 6360 8672. Immerse in the beautiful cityscape of Singapore on the Singapore GOURMETbus. No time to slot in sightseeing before a meal? 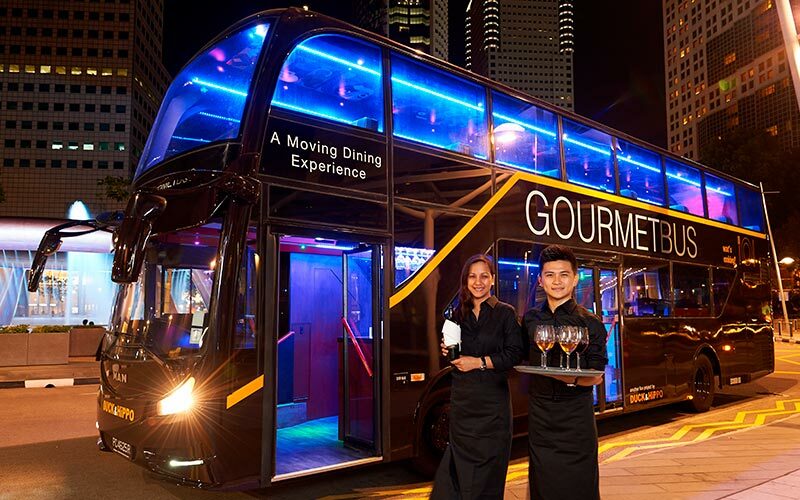 The Singapore GOURMETbus combines both by bringing participants on a two-hour journey along Marina Bay Financial District, Singapore Flyer and The Esplanade on board a 34-seater double-decker bus, while providing a delicious meal at the same time. Guests can also enjoy the mesmerising Garden Rhapsody supertree lightshow at the schedule hop off at Gardens by the Bay. The bus also comes equipped with a PA system, 14 projectors and GPS triggered commentary, allowing presentations or product launches to be held. Cost: From SGD$1,388++ for brunch to SGD$2,688++ for dinner. Drinks start from SGD$13++/pax for free flow soft drinks. Taste your way through the best of Singapore's hawker delights. 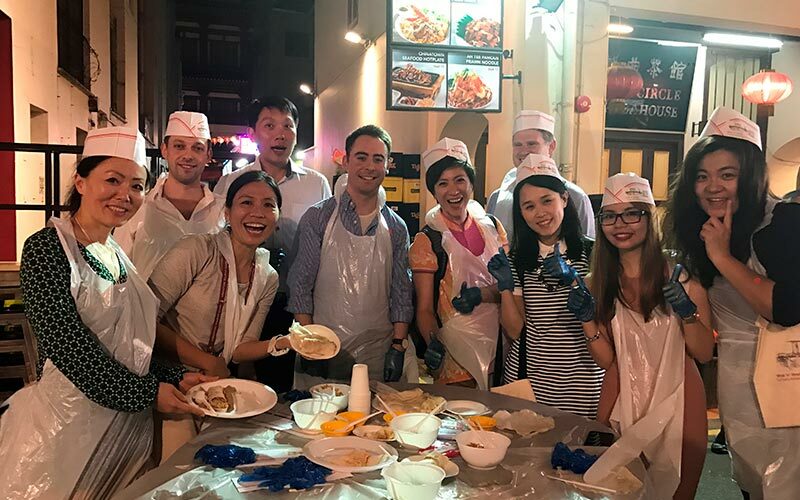 Take delegates on an unforgettable culinary street food tour led by licensed guides from Wok 'n' Stroll. Taking between 10 and 50 people, the three-hour itinerary brings participants to various hawker centres around Singapore such as the iconic Chinatown Complex and the famous Maxwell Hawker Centre, where they will get to taste local favourites such as satay (seasoned skewered meat), laksa (rice noodles typically served in a spicy coconut milk broth), ice kachang (a dessert comprising shaved ice, red beans, jelly and sweet syrup) and popiah (fresh spring roll filled with shredded vegetables and topped with sweet and chilli sauces). The culinary tour company also offers the option of a wet market culinary adventure including a hands-on experience at a cooking school, and a gourmet itinerary that offers a meet-and-greet with a celebrity chef along with the chance to sample Michelin-starred dishes. The awe-inspiring interior of Operation Dagger. From the days of Prohibition, speakeasy-styled bars continue to fascinate and we see why: the joy of finding a watering hole hidden from plain sight is akin to being in on a little secret. The real secret, however, would be to know just which ones are truly worth your time. Operation Dagger scores full marks on the mystery scale with its nondescript entrance on Ann Siang Hill. 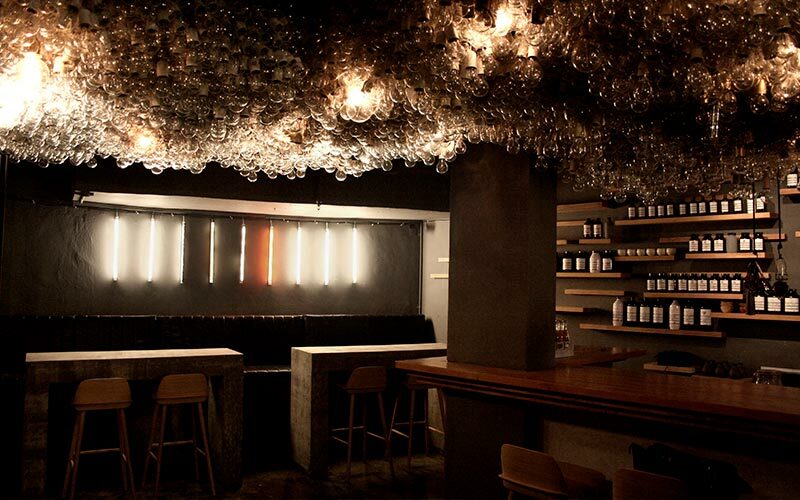 Here, cocktails are as experimental as the décor (check out the ceiling adorned with thousands of lightbulbs). The Fallen Fruit ($25 nett) breathes new life into overnight wines by infusing them with poached pears, caramel, vanilla and curry leaf. The result: A cool potion-like drink served in a whole poached pear. And The Secret Mermaid is as 'secret' as it gets: Taking on the appearance of Shinkansen, a Japanese salad bar in the day, the shared space in the Central Business District (CBD) transforms into a bar for curious drinkers at night with a selection of over 60 products including American vermouth, gin and bourbon. If you're spoilt for choice, try out The Mermaid's Red Ale ($16/bottle), which is loaded with cascade hops and features a fresh floral aroma against sharp bitter notes. The night is always young at Zouk. 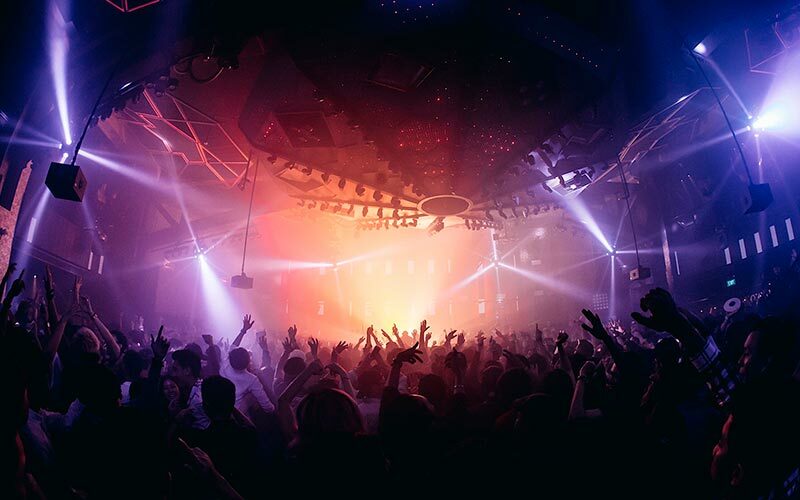 Feel the pulsating beat of Singapore's nightlife at world-renowned award-winning club Zouk's spanking new location. The club has now settled into its new home at Clarke Quay, a stunning waterside promenade brimming with sophisticated restaurants and cool bars. Alternatively, true blues fans can let your hair down at the new Rock 'n' Roll Blues bar, Crazy Elephant, which offers a vibrant atmosphere along with great live music every day from 10pm. This article is brought to you by Singapore Tourism Board.